After the shocking ending of "The Everafter War, " this book, the penultimate one in the series, picks up with Sabrina, Daphne, and Puck stuck in the Book of Everafter, where all the fairy tales are stored and enchanted characters can change their destinies. 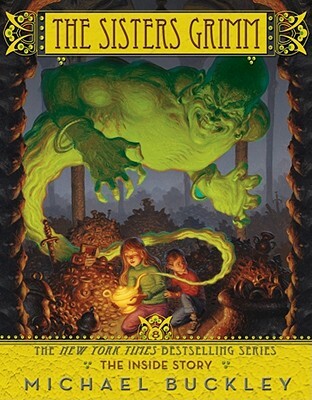 The girls (and Puck) must chase the Master through a series of stories, where they're willing to change what they must in order to save their baby brother. Soon, however, they are confronted by the Editor--the book's guardian--who, along with an army of tiny monsters known as Revisers, threatens the children with dire consequences if they don't stick to the stories. As they chase their quarry and dodge the Revisers, they meet Alice, Mowgli, Jack the Giant Killer, Hansel and Gretel, the Headless Horseman, and others. But will they find their brother in time?